So 7 of us sat around a table and talked wine. Burgundian wines. Why do we love them? Why are prices going through the roof? What are people looking for? 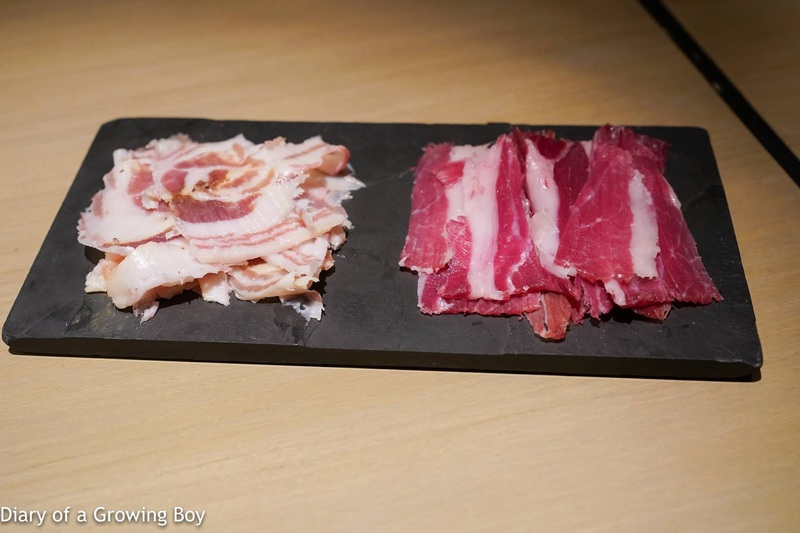 Pancetta / culatello di zibello "Massimo Spigaroli" - it's always good to start with these. The pancetta was wonderful, but the culatello from black pigs was even better. 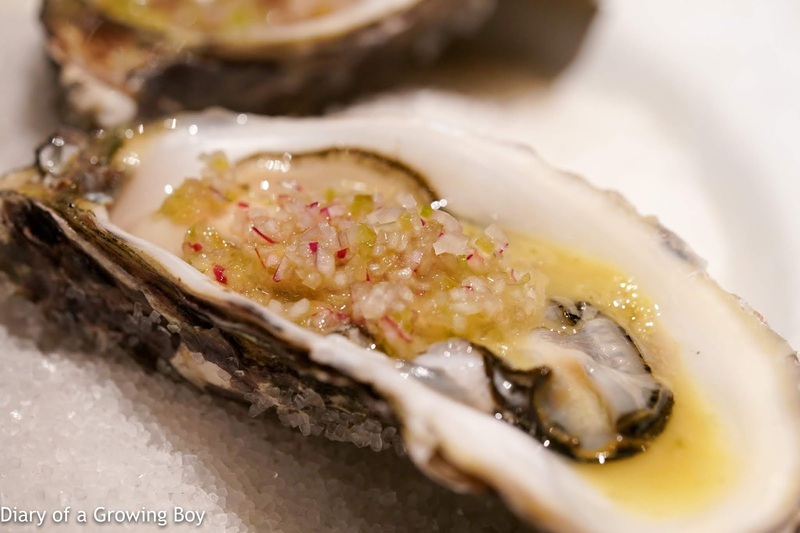 The raw oyster came with finely diced shallots with a spicy dressing that reminded me of tom yum. 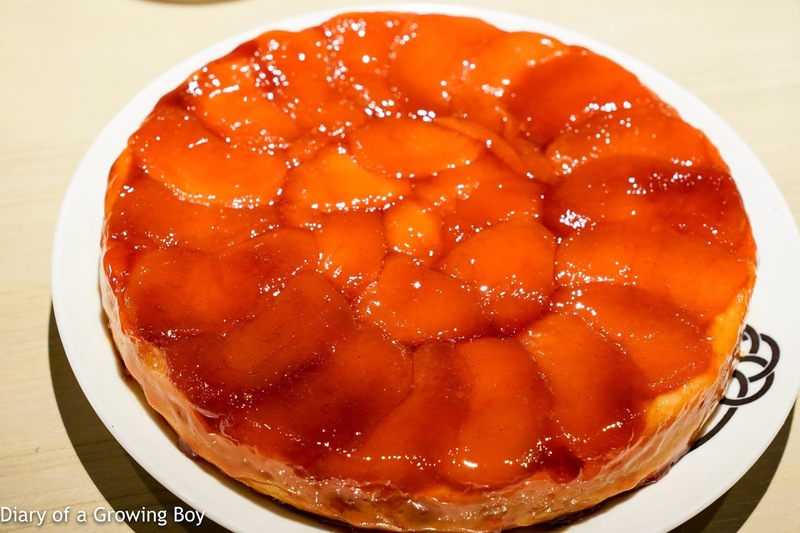 But unfortunately it was also revolting, because I think mine got contaminated with some dirt. It took a lot of effort for me not to spit it out, and I ended up forcing myself to swallow it... Yuck. 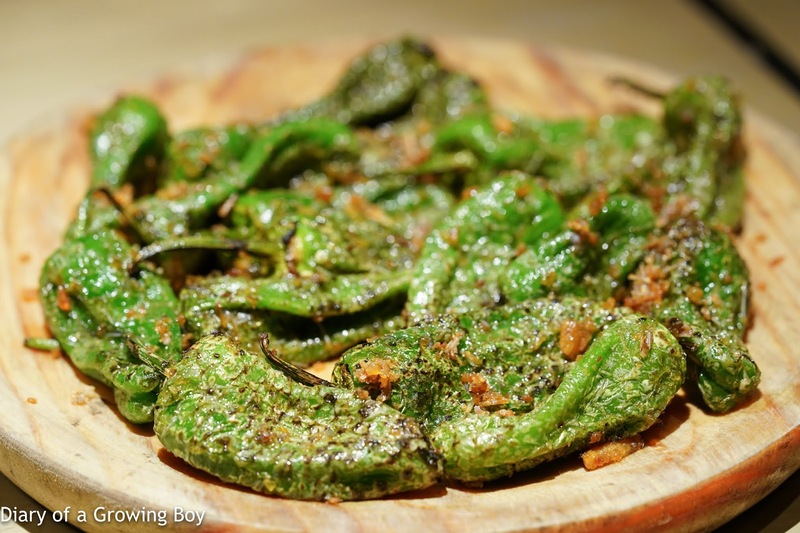 Fried padron peppers / dried flounder fish salt - these have always been popular, but tonight the dried flounder salt seemed a little bland for some reason. Fukuoka Mochida tomato / white anchovies - beautiful! So happy to have this again. 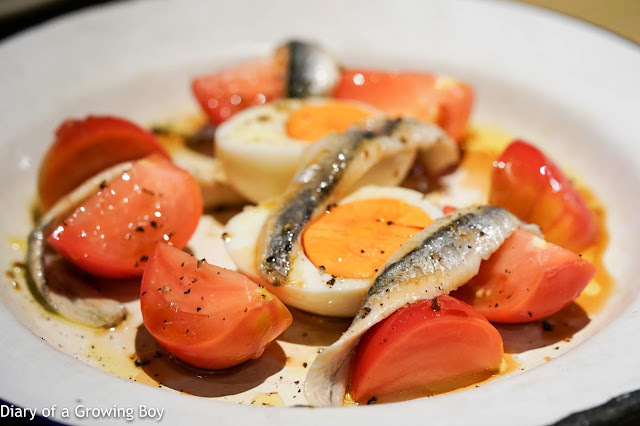 The tomato wedges from Mochida Farms (持田農園) in Itoshima Peninsula (糸島半島) inside Fukuoka Prefecture (福岡県) came with white Cantabrian anchovies, a hard-boiled egg, and drizzled with olive oil and cracked pepper. 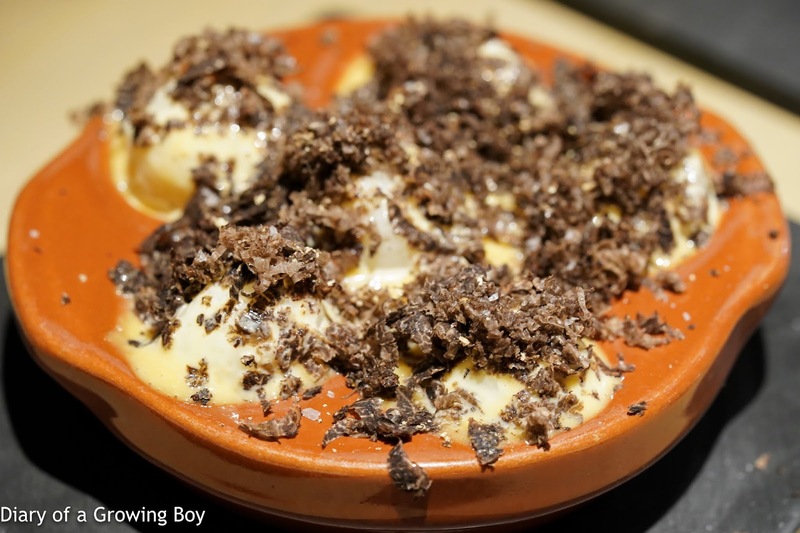 Pigeon eggs 'œuf mayo' / black truffle - a new version of the dish, with mayo and Microplane-shaved truffle. Yummy as always. 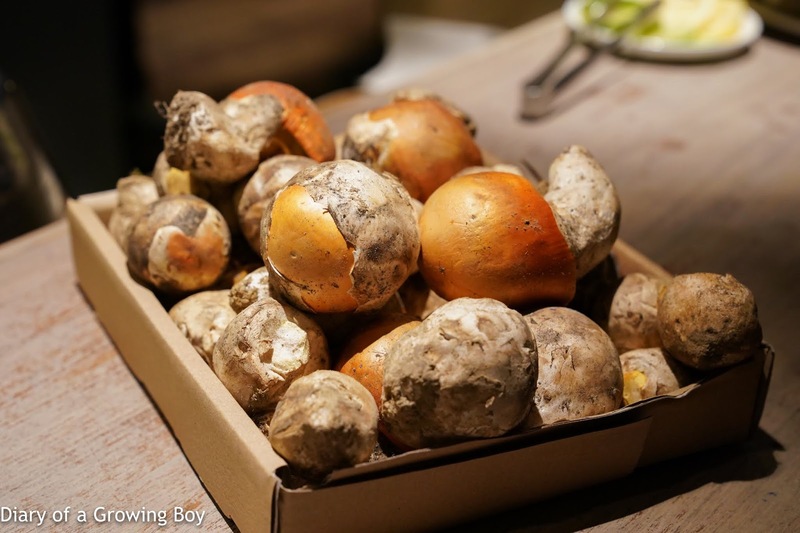 I saw a box of these ovoli on the bar counter, and I knew we would be in for a treat. Ovoli mushroom / eggs / anchovies - underneath the thin slices of ovoli and bits of anchovies were a couple of sunny-side up eggs. Just a beautiful combination together with some herbs. 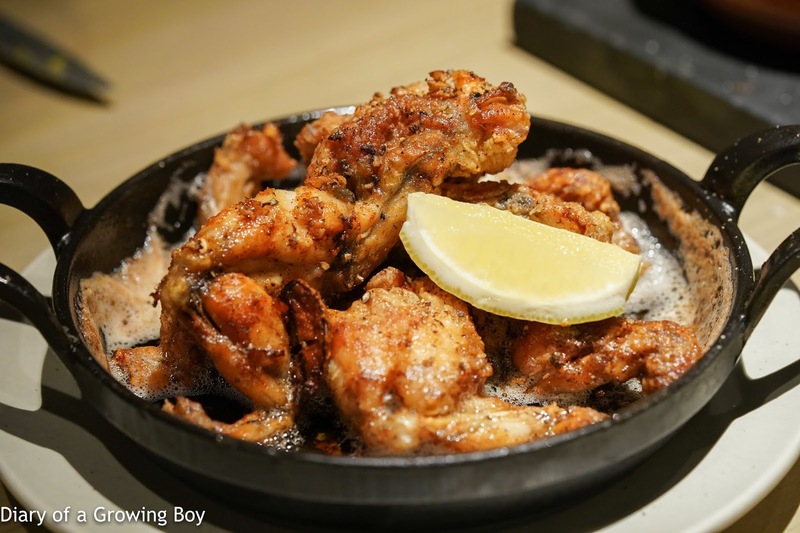 Frog legs meuniere - we couldn't leave here without having frog's legs... especially when there's soooooo much butter bubbling in the cast-iron bowl. So, so, soooooo good. 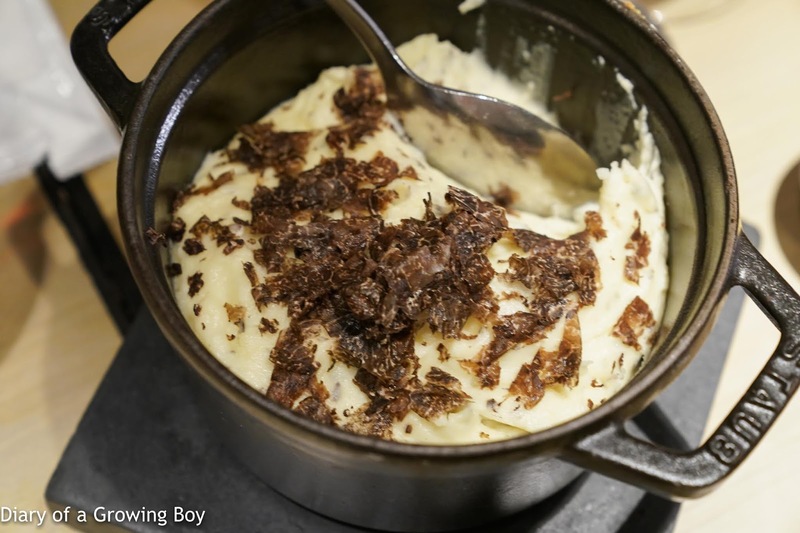 Black truffle vegetables casserole "Mr. Ducasse" - of course, we also need some veg. 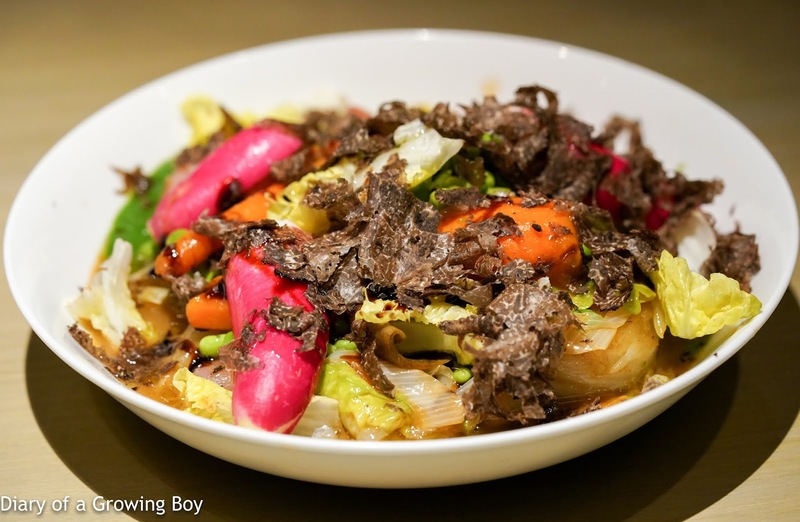 So we've got a mix of turnip, breakfast radishes, fennel, carrots, endives, peas, smoked lardons, and shaved truffles. 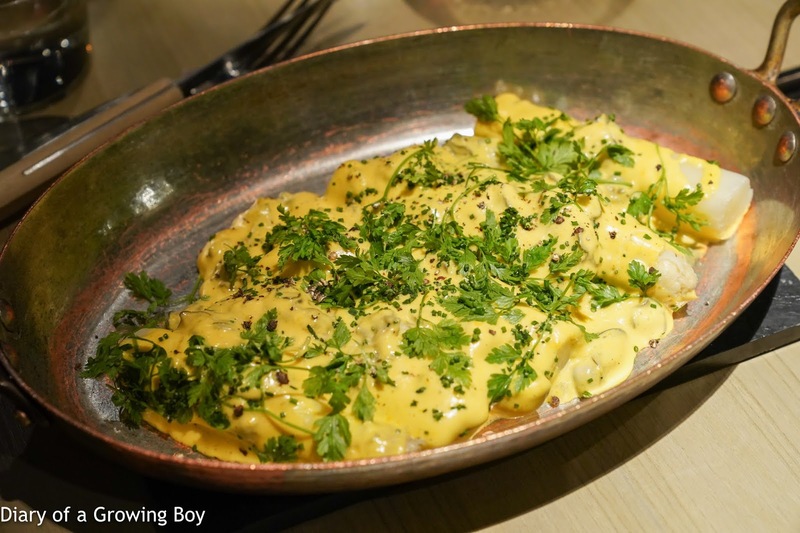 Beef tripe gratin - always one of my favorite dishes here. Perfect with the paprika... or was it piment d'espelette? 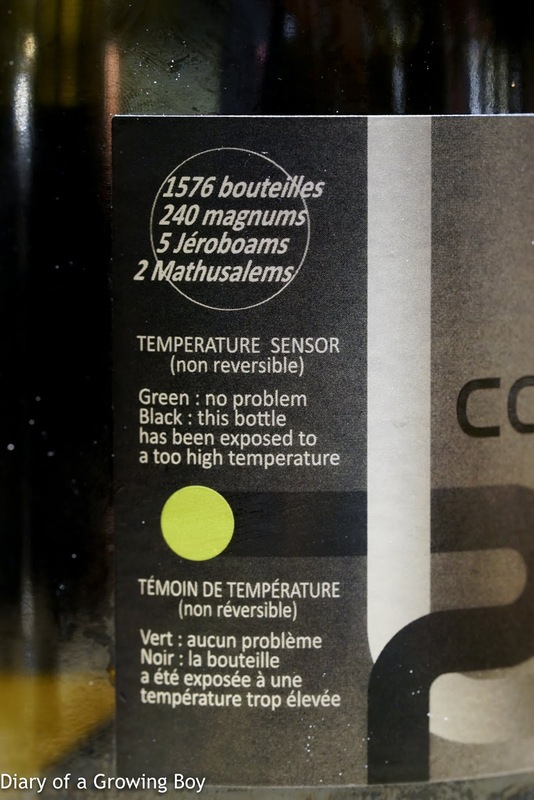 Anyway, there was certainly a kick here which I thought was a tad too much for the wines. 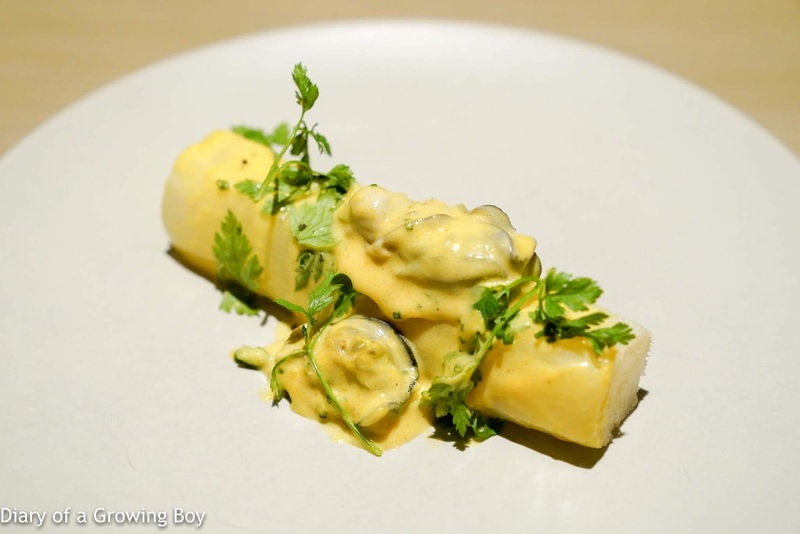 Poached white asparagus / oyster sabayon - these were pretty damn big white asparagus, and they worked very well with the oysters as well as the creamy and acidic sabayon - kinda like hollandaise. Giant grouper jaw - now THIS was amazing... and it wasn't the first time I've had it here. 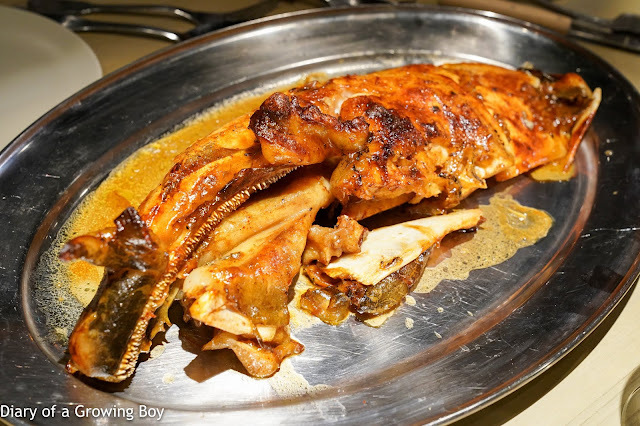 The lower jaw of a giant grouper weighing at about 100 catties, this was first braised then roasted. The result was something akin to kokotxa. 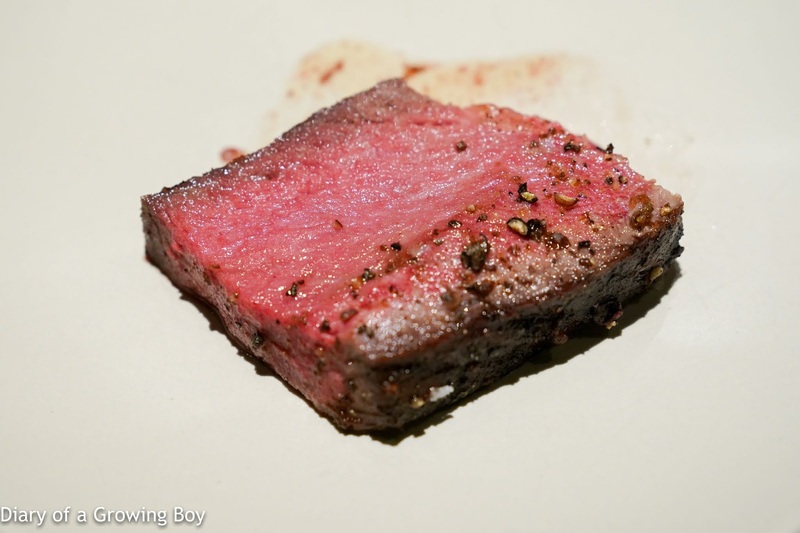 The meat came with plenty of collagen, and had a beautiful, springy texture. 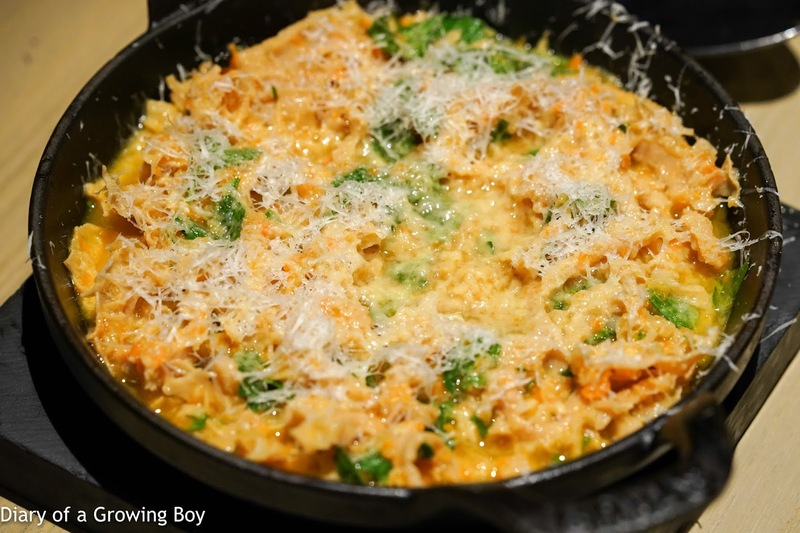 Served with saffron risotto. Superb. 80 day dry aged Spanish Rubia Gallega bone in loin - another one of the signature dishes here. 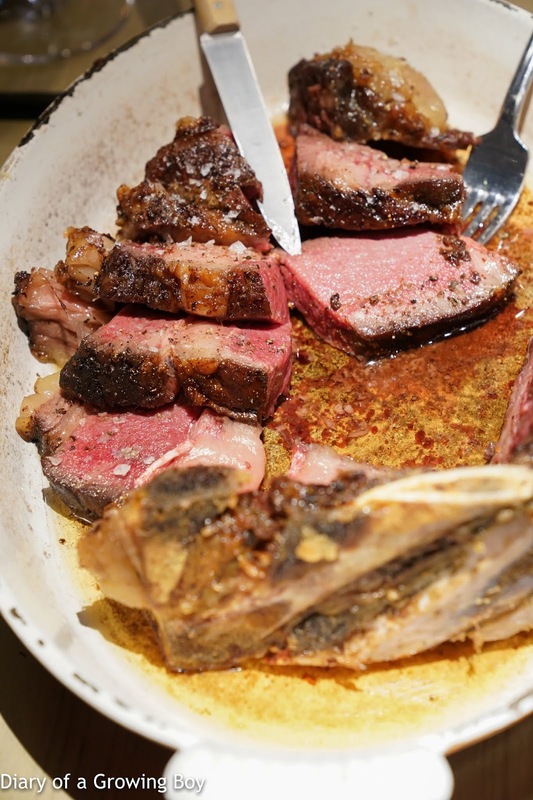 I took just one small piece, but absolutely loved the flavors from the extended dry-aging of old cattle. 36 mo. 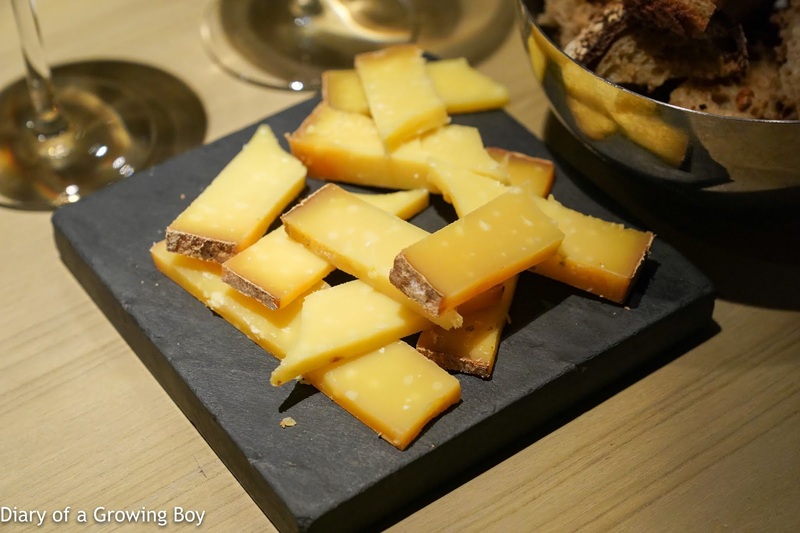 Comte "Bernard Anthony" - well... it's actually from Bernard Antony... OF COURSE it was delicious. 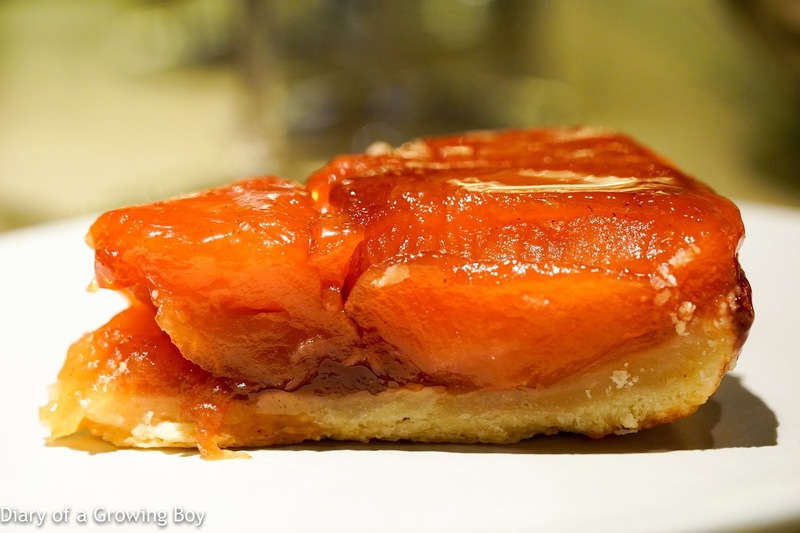 Tarte tatin - I was full, but this was too awesome to pass up. So, so, sooooo good. Took a slice home to Hello Kitty. Canelés - the perfect way to end a meal here. 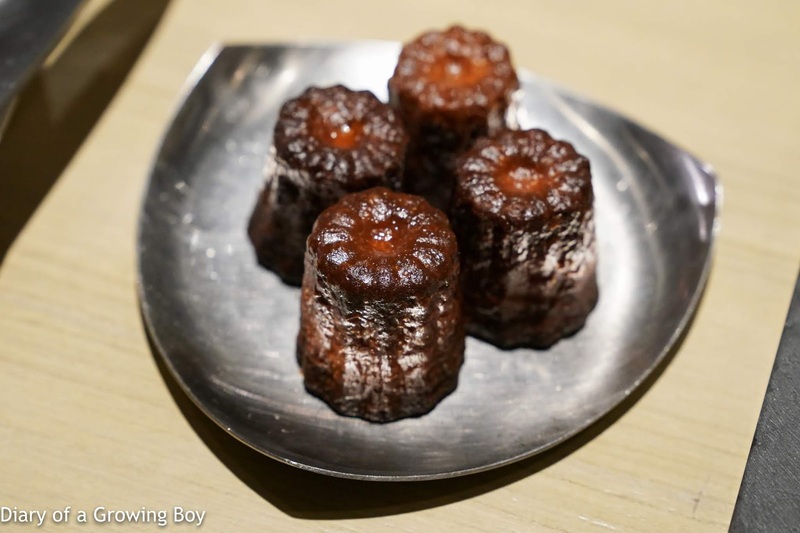 These are some of the best canelés in Hong Kong, and I had two... The crunchy exterior is just so amazing considering the humidity in this weather. As good as the food was tonight - as it always is - the point of the gathering was about the wines from Burgundy. For just 7 of us, we sure had a lot of bottles! 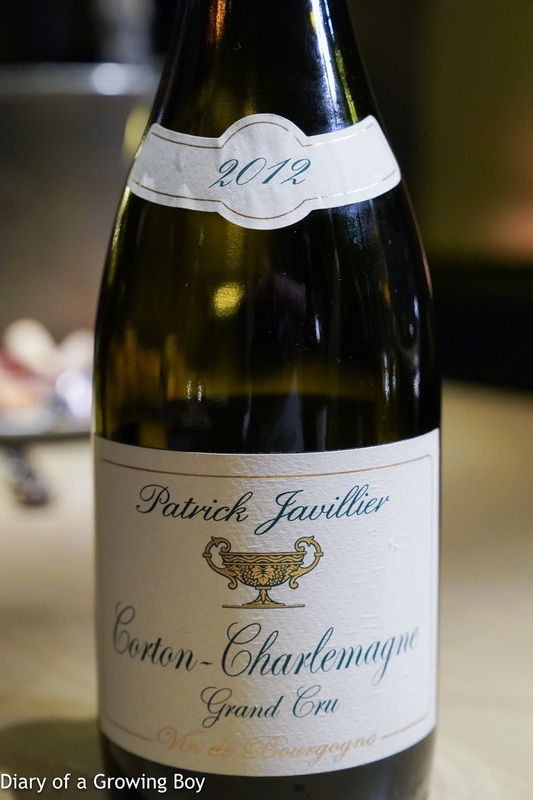 2012 Patrick Javillier Corton-Charlemagne - nice and toasty. 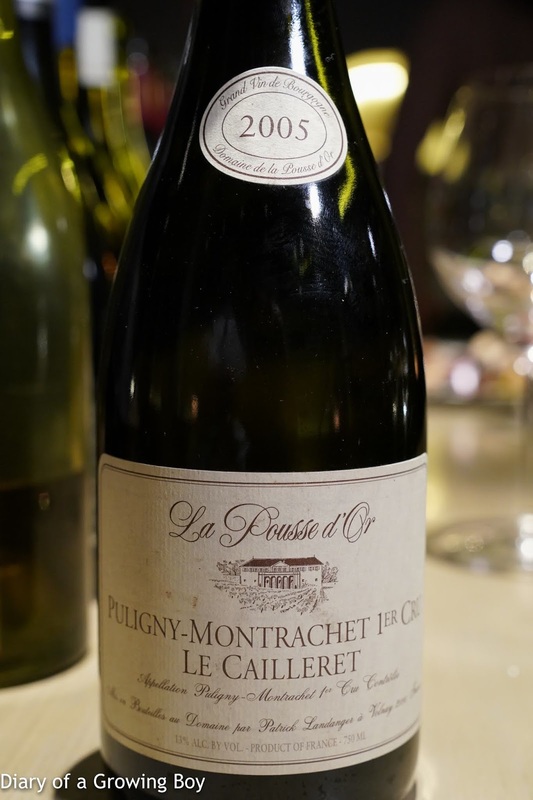 2005 La Pousse d'Or Puligny Montrachet 1er Cru Le Cailleret - more mineral, some toast, a little lean on the palate but also rounded on the finish. 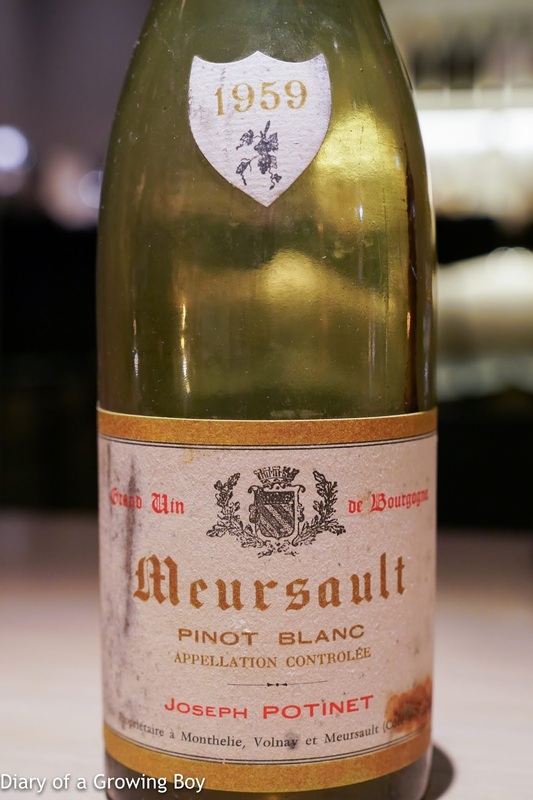 1959 Joseph Pontinet Meursault Pinot Blanc - very toasty, huge nose, lots of coffee, toffee, really big nose of pain grillé. Absolutely beautiful. My favorite white of the evening. 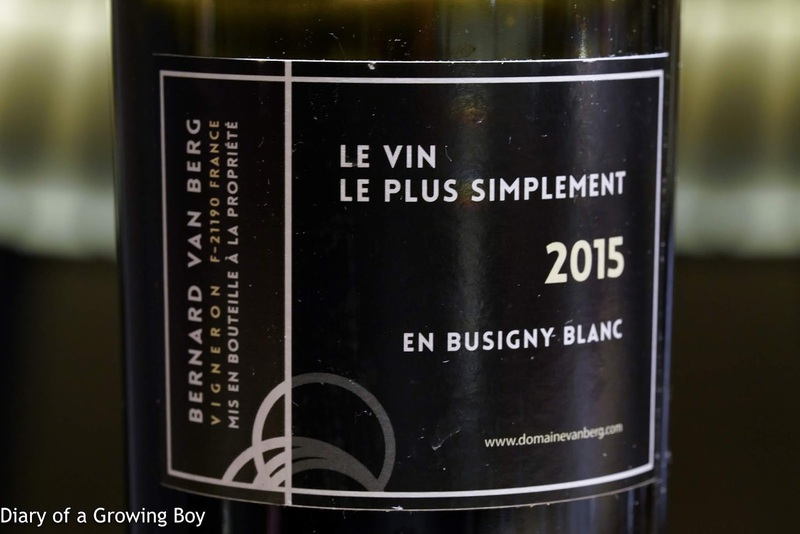 2015 Bernard Van Berg En Busigny Blanc - very closed and muted at first. Lean on the palate. Nice, elegant, clean. But reality is that it shut down and was disappointing. Acidity still there, so the wine wasn't dead. 3 hours after opening, nose showed some Anjoy pear, iron, and minerals. 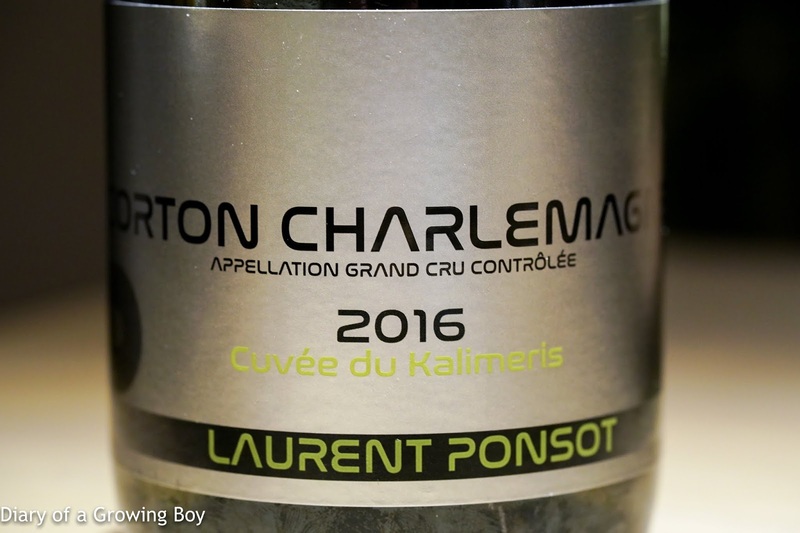 2016 Laurent Ponsot Corton-Charlemagne Cuvée du Kalimeris - flinty, tropical stone fruit, floral, pretty ripe and sweet. Beautiful. 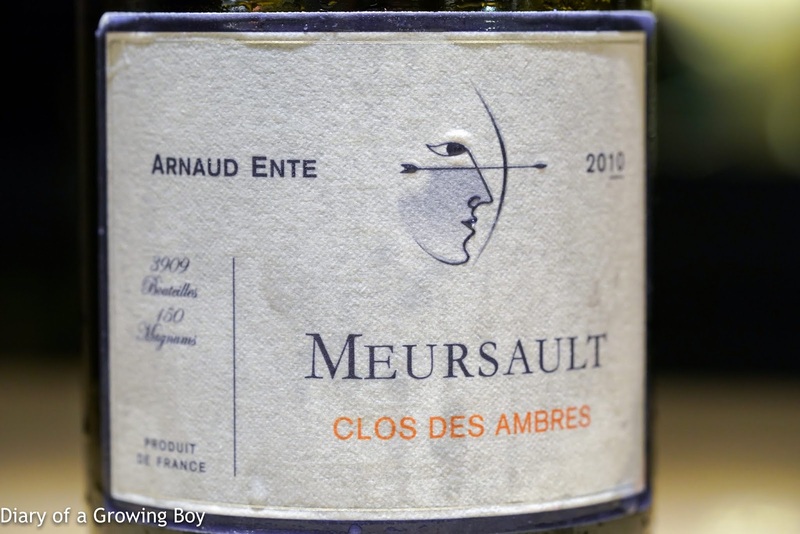 2010 Arnaud Ente Meursault Clos des Ambres - toasty minerals on the nose, good acidity on the palate. Beautiful. 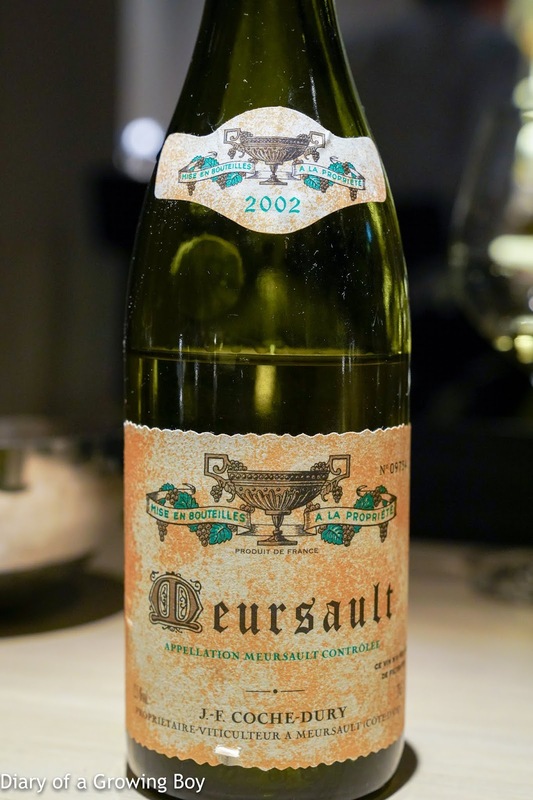 2002 Coche-Dury Meursault - nice and toasty, with some flint, but not as huge as expected. 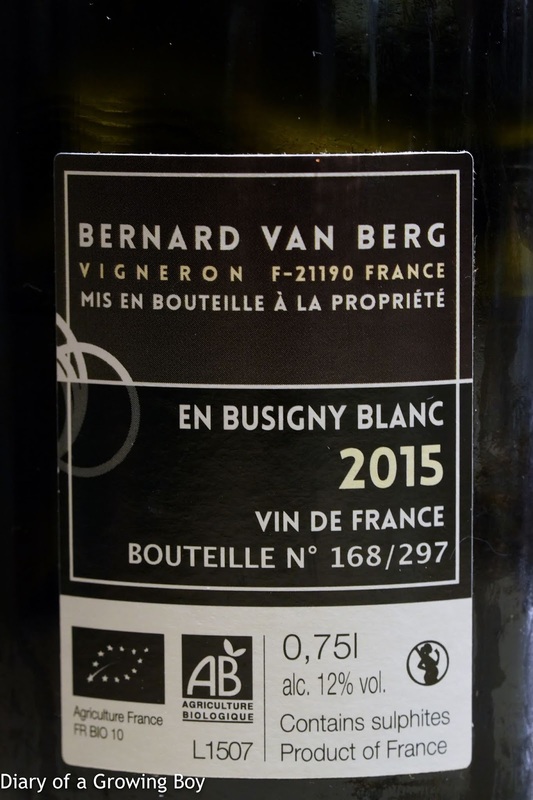 Good balance between acidity and ripeness on the palate. 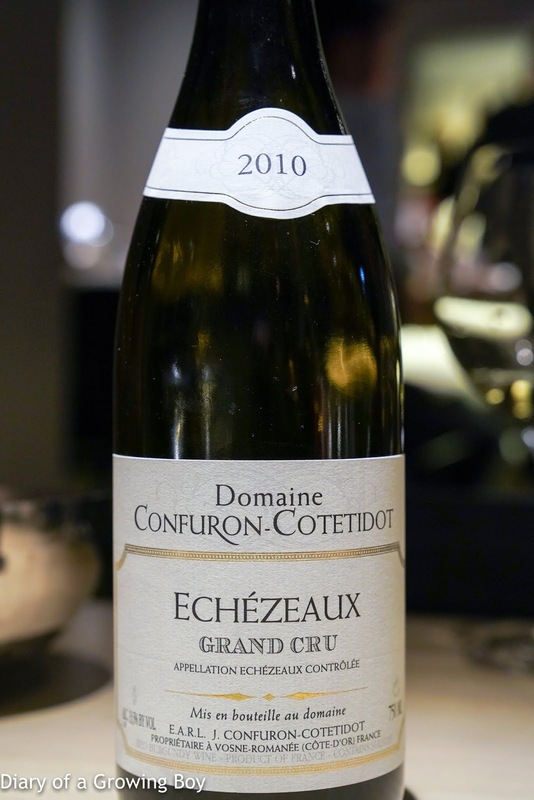 2010 Confuron-Cotetidot Echezeaux - minty with sweet fruit. 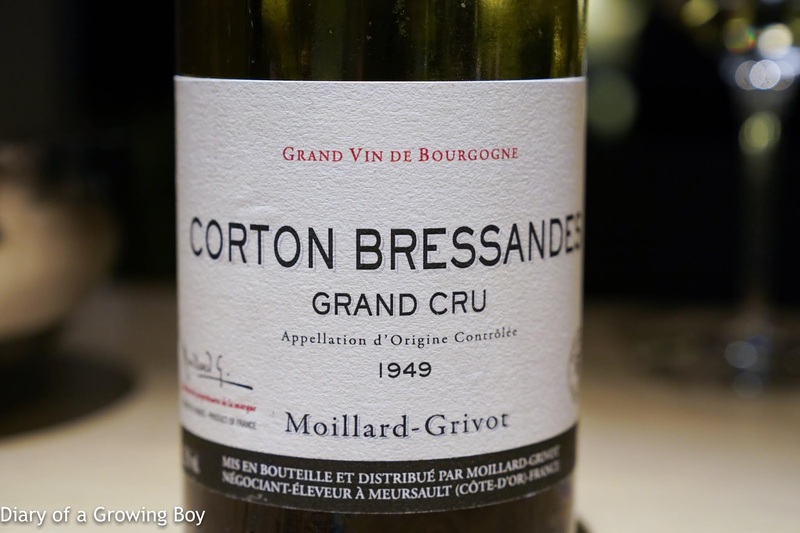 1949 Moillard-Grivot Corton Bressandes - savory, lots of mushrooms, mature. 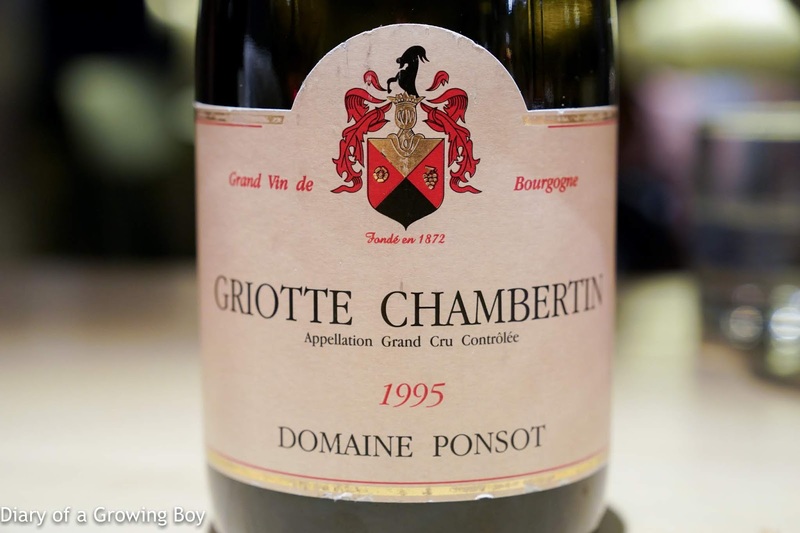 1995 Domaine Ponsot Griotte Chambertin - not bad at all. Eucalyptus and some ripe fruit. 2011 Dujac Echezeaux - for some reason this seemed very muted. 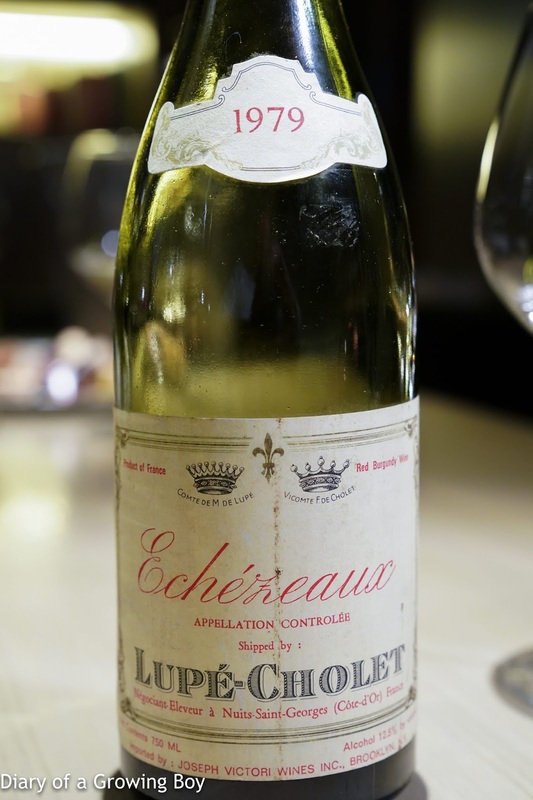 1979 Lupé-Cholet Echezeaux - very mature, with plenty of black olives, leather, and almost a little stewed fruit. 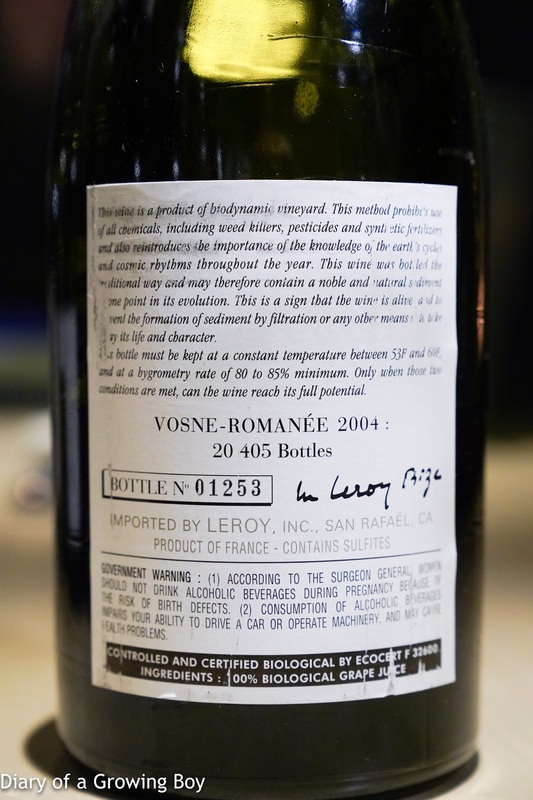 2004 Domaine Leroy Vosne-Romanée - absolutely beautiful and exactly what I expected from this wine. Very floral, lots of leather, and toast. Soooo seductive still. Undoubtedly my favorite red of the evening. 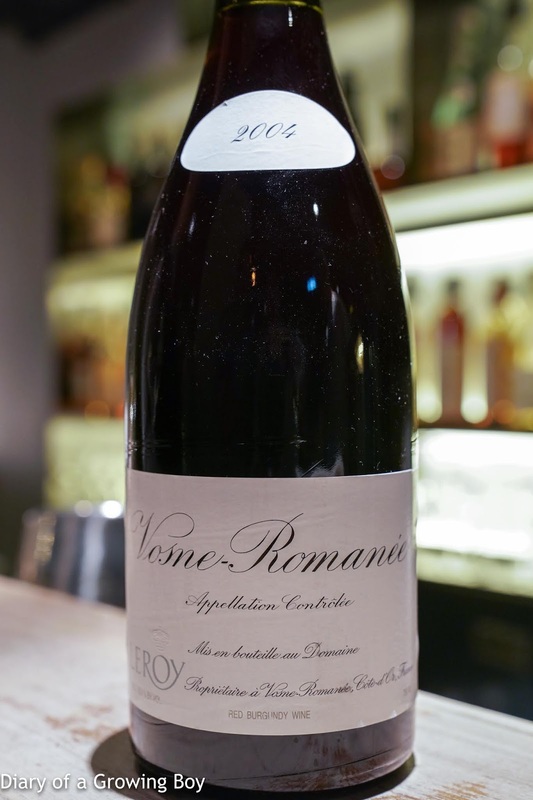 This was a fantastic evening, with wonderful dishes from my favorite restaurant in town, and a whole range of delicious Burgundian wines spanning from 1949 to 2016. We're told that the program will air on French TV in September, so we will plan our next gathering then... Many thanks to The Man in White T-Shirt for the wonderful treat. P.S. the program which discusses Burgundian wines is here, and the segment shot tonight starts at 7:26 in. Europe 2018 day 1: Hello, Brussels!